Will these deals NEVER END? Missed out on Black Friday? Well hang in there, you lackadaisical so-and-so, because TA-DA! Cyber Monday! It's a thing, I'm informed! 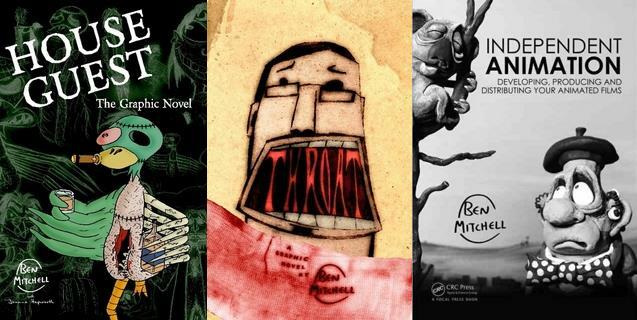 For TODAY ONLY you can get a whopping 40% off the graphic novels with code CYBER40 at checkout! 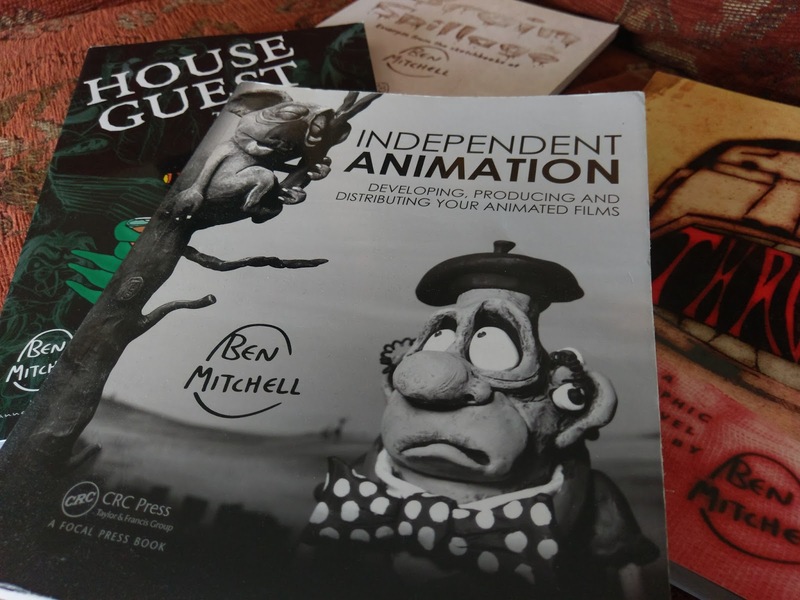 You can also get 30% off Independent Animation: Developing, Producing and Distributing Your Animated Films PLUS FREE shipping, no code required. Not to stoke the fires of consumerism, but once again it's for TODAY ONLY so GO! NOW! QUICKLY! TIME'S A-RUNNIN' OUT! Already losing hair over the impending nightmare of holiday shopping? Aghast at how miserably difficult-to-buy-for the comic'n'animation enthusiasts in your life insist on being? Well fret not, you downers, because Uncle Ben* is here to ease your burden. Have I got some Black Friday deals for you! Firstly if you're in the mood for some graphic novels (and why wouldn't you be?) you can head on over to my store and pick up anything there for a juicy 30% off! Merely enter code LULU30 at checkout. Bear in mind this is valid today (November 24th) only, so act fast lest you feel forever empty. If it's something non-fictioney yet still quite cartooney you're after, then you could do worse than pick up Independent Animation: Developing, Producing and Distributing Your Animated Films. If you enter code LMT02 at checkout not only do you get a cool 20% knocked off the price but there's also FREE shipping thrown in! Plus this deal goes on throughout the rest of the month, so you're granted some extra mulling time. 'Tis the season, after all. *Not affiliated with any pre-existing Uncle Ben or other brand that may operate under the Mars, Inc umbrella. Ho ho ho! 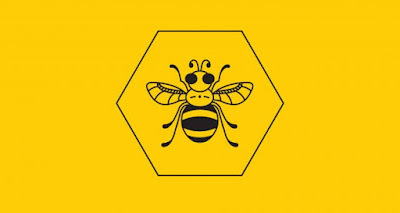 I'll be back at the Manchester Animation Festival this coming week to fly the ol' Skwigly flag. If you're in town on Wednesday we'll be doing another one of our maddening (though splendid fun) Skwigly Quiz sessions, so festival passholders be sure to get yourselves to the the Event Space at HOME for 5pm. A lot of these films have recent Skwigly interviews attached, so you can learn more about them by clicking on any of the active links above. 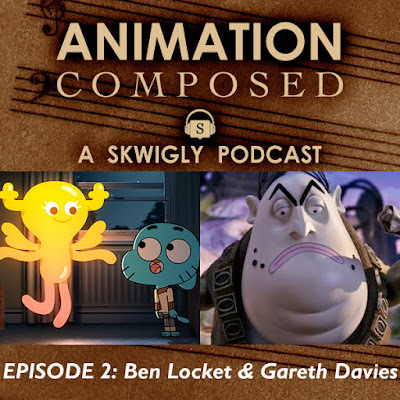 Continuing Animation Composed, Skwigly’s celebration of the harmonious relationship between music and animation presented by myself and Wez Allard, our second episode delves into the world of composing for animated TV series, with special guests Ben Locket and Gareth Davies. Born in Australia and presently based in London, Ben’s work in television centers around the long-running Cartoon Network series The Amazing World of Gumball, as well as the recent Magic Light adaptation of Roald Dahl’s Revolting Rhymes – both of which presently nominated for a Children’s Animation BAFTA. Revolting Rhymes also recently won Best Original Score at the Sapporo Japanese Short Film Festival and, as well as an upcoming soundtrack release, has been screened to a live orchestral accompaniment over the past year with the next performance taking place this coming February at the Southbank Centre. UK-based composer/songwriter Gareth Davies has a wealth of experience composing for television and corporate clients alongside his own personal projects. He has most recently written for the animated television shows Scream Street (CBBC) and Everybody Loves A Moose (Rai). He also produces original songs under the moniker Band of One. Also featured in this episode are musical scores to the National Film Board of Canada productions The Head Vanishes (Dir. Franck Dion) and I Am Here (Dir. Eoin Duffy) by Pierre Caillet and Menalon respectively, as well as more work from previously featured composers David Kamp (Réka Bucsi’s Love), Mathieu Alvado (Who’s Afraid of Mr. Greedy? from Gobelins) and Ephrem Leuchinger (Anete Melece’s Analysis Paralysis).